Dinner the night before with Clare and Julian in their lovely and grand farmhouse in Melbourne was a delight, and I left them in high hopes as the wind seemed to have abated, and the sun was shining in a clear blue sky. As it was, having driven through the Wolds, when I arrived at Mulberry Whin, the farm owned by the Dixons, and just to the south of Great Driffield, toward the tip of the most northerly seam of chalk in the UK. 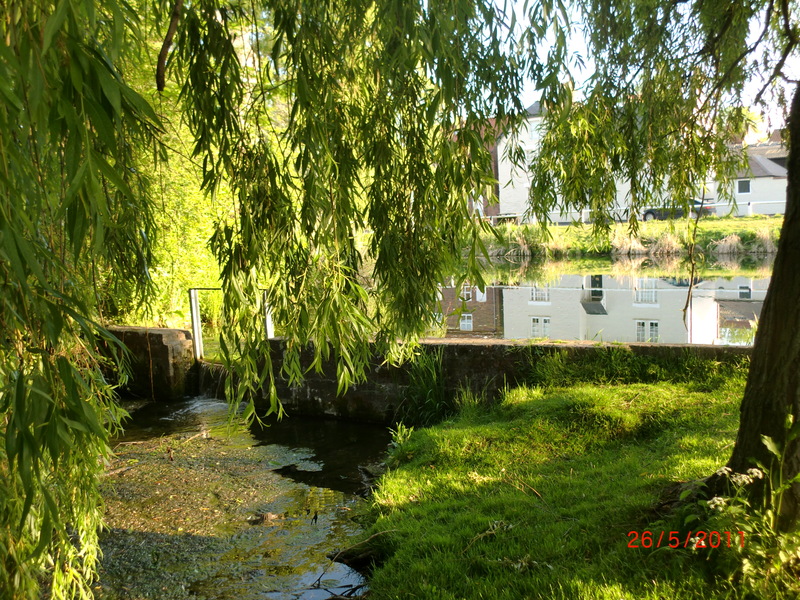 …his is a kept, rather than manicured water…..and it is lovely. which means the fish can see you, too. 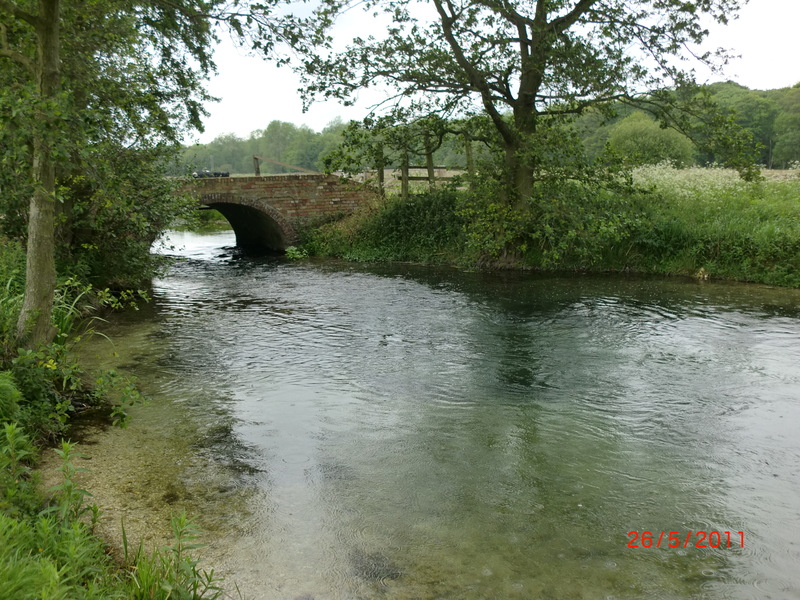 But these are proud fish and safe in the knowledge that cover is never far away, and they hold station, fearlessly, and some trout are quite big, as are the grayling, which Brian informed me, come to net at over 2lbs regularly. And I saw two eels swimming upstream to goodness knows where, because the Beck rises only a few miles upstream of us…but a good sighting, and a rare one. I am here with Paul Jennings and his friend, Nigel Houston, and after our ‘hellos’, we split up and I walked to the bottom of the beat. It was a windy morning (again) and there was little in the way of fly life, and I can see the fish deep down. An Adams brought on a couple of takes, but the fish are quick, and nothing comes. 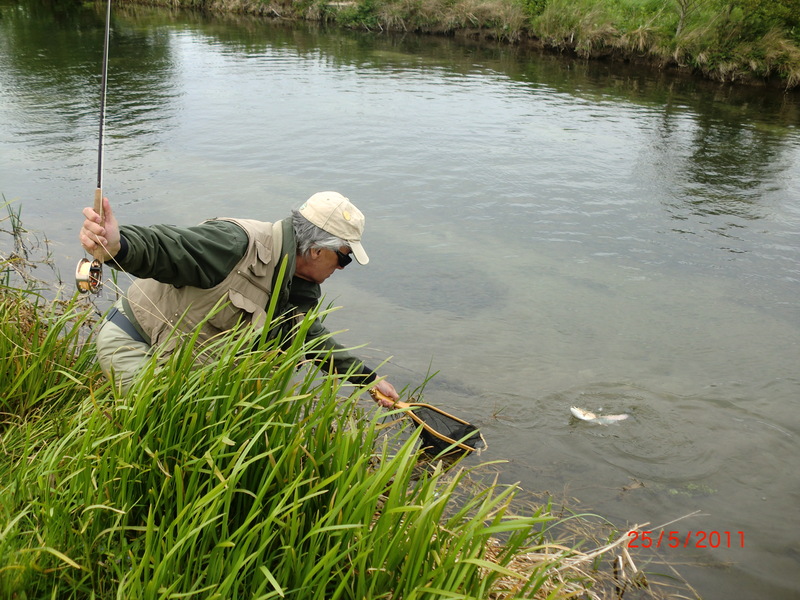 I arrived where Paul was casting to several rising fish, but we could not see what they were taking. Certainly there were no duns to be seen, so they must have been sipping emergers, but Paul told me he had ‘been through the box’ (and netted just one fish) and he concluded that in the slow flow, they had so much time to see the offering, their selectivity was painfully frustrating! unsure whether to claim East Yorkshire as mine! Lunch at the aptly named ‘Trout’ Inn at Wansford gave us the opportunity to relax and catch up. Nigel , who fishes less often than Paul and I, had a good morning and several fish, so was happy. After lunch, we switched ends and I restarted where Paul had been because fish were still feeding. There was one fish which I could see easily and he came up regularly, and I, too, tried my box of flies to tempt him, but did not. Another, and on two occasions rose, sucked in my fly which went sub-surface, and I, carefully lifted into the fish, and the fly came gently out of its mouth, to an exasperated snort from yours truly. God….was this frustrating! So I moved upstream. I saw another, quite good fish rising, and stood watching him, still unable to see to what. I was fascinated to see his broad shouldered back come up, and even from behind him, watch a wide mouth open and gently ingest what I am sure were emergers, for still there was nothing floating past. I flicked an Adams over him….nothing; I changed to an elk hair caddis….no interest. Damn him! At least I had not spooked him, so I tied on a grey, gold ribbed, unweighted nymph and wet it so that it would sink slowly to the level where I guessed he was lying. One cast…nothing; another, and a tempting lift,…and bang/bingo/ Got Him! A quick and vicious fight followed which saw him jump out of the water three times, then career into and under the bank side foliage, but my trusty Loomis was up to pulling him out from under, and all the knots in my leader held, and sliding down into the water he was netted. 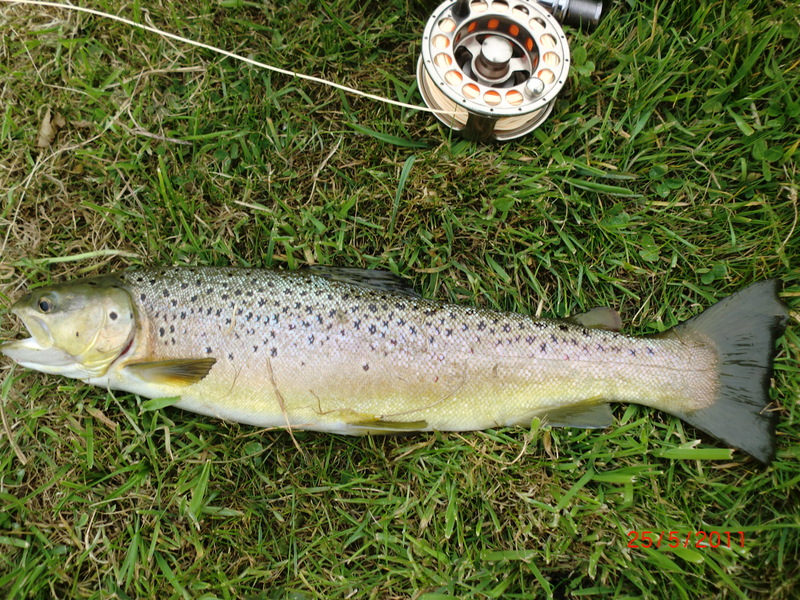 A fine East Yorkshire brownie, of maybe, 2lbs. I only wanted one fish, I had told Brian, and that’s all I had, so from now the escapee could remain just that! A renegade!! Oh! And through the afternoon, the wind dropped!! Dinner at The Wellington at Lund was excellent…try the haddock on Stornaway black pudding and cheese sauce, starter…its stunning! 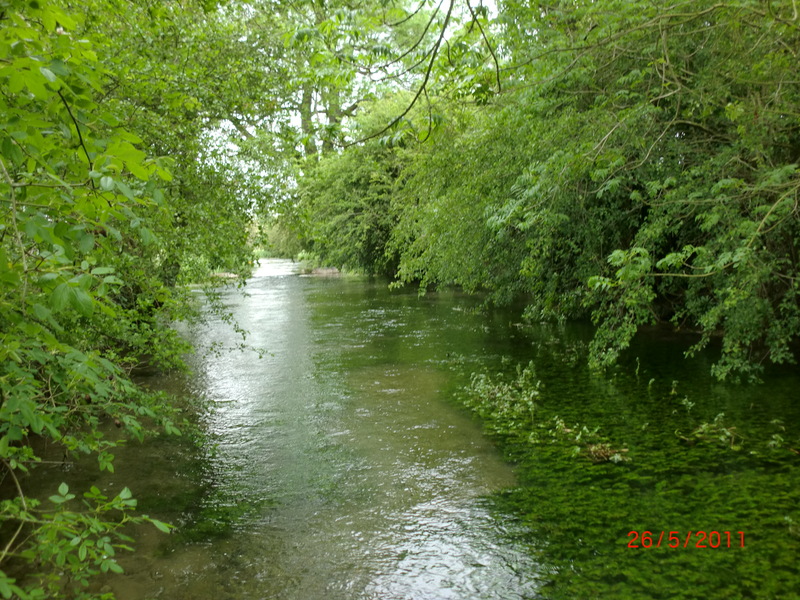 near to where the Foston Beck rises in Kilham, we were off to fish it. This turned out to be a dull day, and the rains came, too. We caught no fish, and saw very few, either. But at its higher reaches it is the prettiest stream and reminds me of the Ebble. 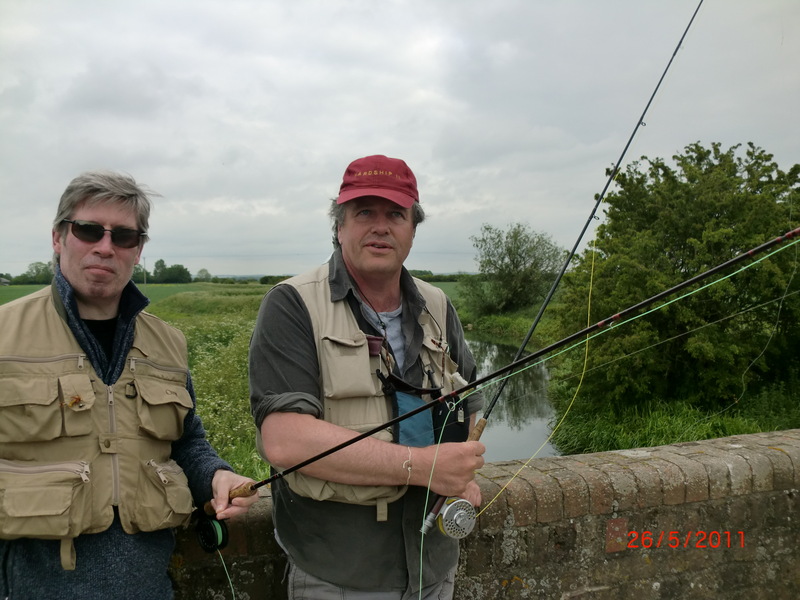 Members of the Foston Fishing Club are monitoring catches carefully, and the dreaded ‘otter’ word has come up (yet) again as catches have been so poor. The only fish I saw, went screaming for cover when they spotted me/us, and I suspect low water levels have something to do with poor fishing. Paul and Nigel were great company, and we will fish again soon. My Yorkshire sweep now has two of the three Ridings netted, as well as South Yorkshire. 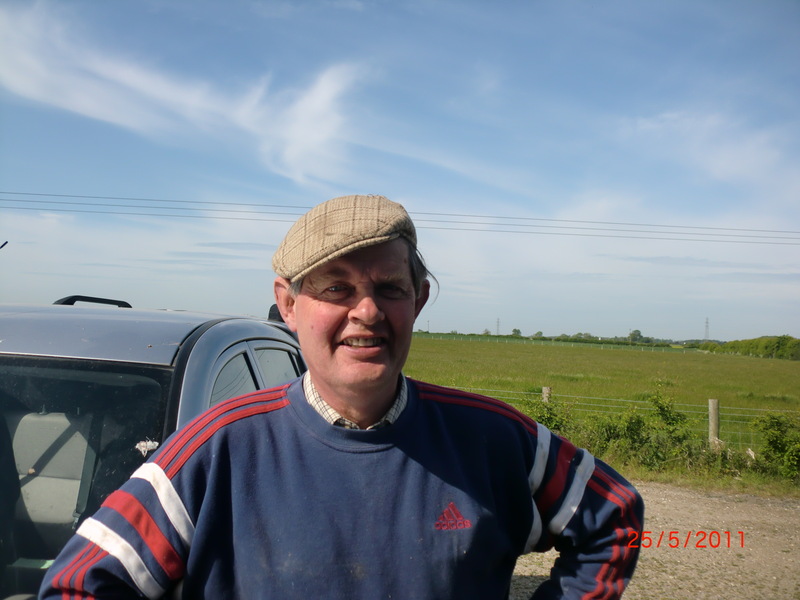 It was John Aston who told me what a Riding is….do you know? Excellent report and many thanks for not mentioning my woeful fish count. 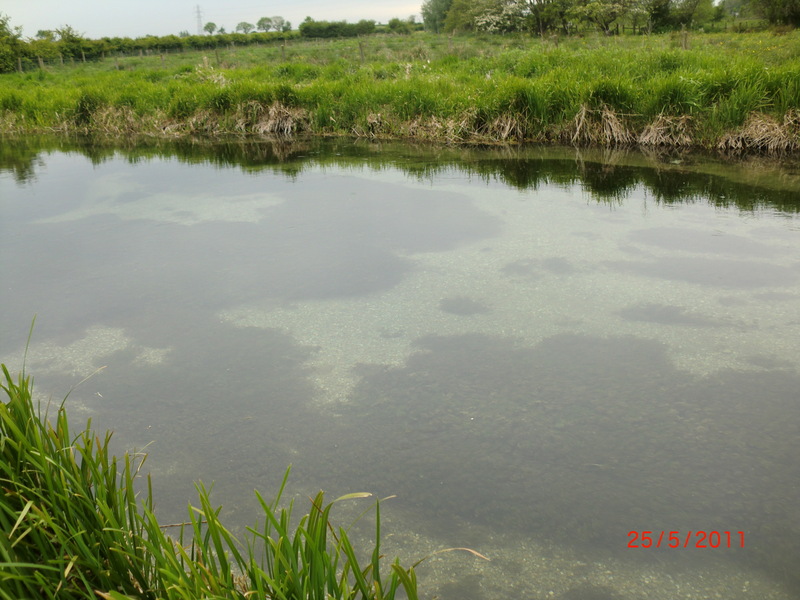 I am not sure what was more frustrating, seeing few fish on Foston Beck or seeing regularly rising fish on the West Beck and failing to find the correct fly. Really enjoying your reports – thanks – keep them coming please! 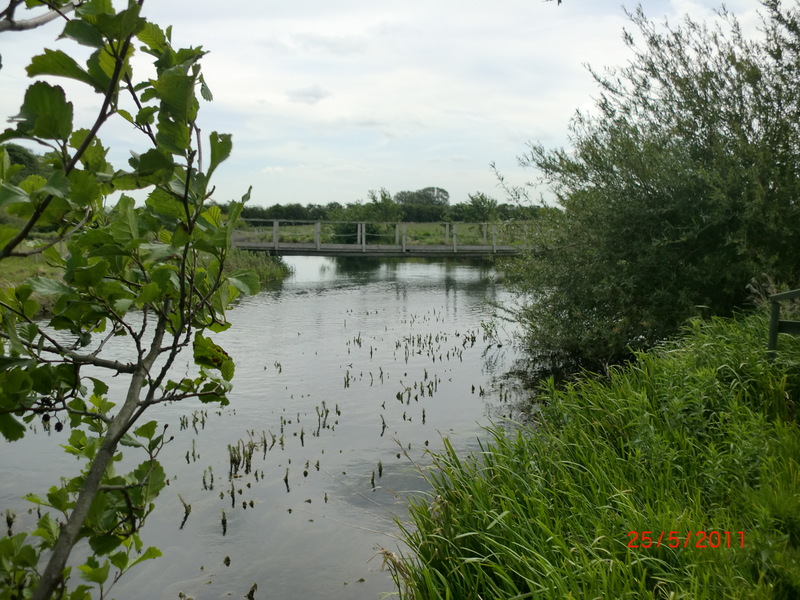 On Foston Beck – did you get a day ticket for this stretch? I can’t find any information on how to fish there. Any guidance greatly appreciated.